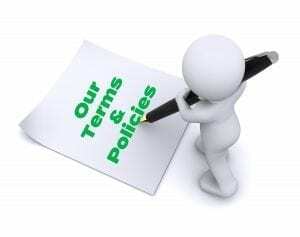 Here you can find a list of our Terms & Privacy policies. You can read our Affiliate Disclosure that outlines our policy for using affiliate links on this site. This Comments policy outlines how we deal with comments left on this website. Our Cookie Notice outlines how cookies are used on our website. Our Order Terms for website hosting, email hosting and other related services. By signing up for our Affiliate Programme, you agree to be bound by the Affiliate Terms of Service.